This is a perfect summer beach read. The sweet and fluffy romantic comedy is set in the Hamptons and it tells the story of a real estate agent and a wealthy lawyer who buy, renovate, and sell beach properties for profit. Pierce is a near perfect alpha male character. He’s super rich and handsome and his real estate hobby provides an escape from his stifling corporate life. He’s sweet, caring, and generous – and he has a three-legged rescue dog. Do guys get any better? While I loved Pierce, it took me a few chapters to warm to Rian. She starts the novel with a bit too much aggression and anger. I think the author was trying to demonstrate Rian’s independence but too many of her sassy moments just felt rude and bitchy. She gets better later in the book and I did enjoy her resourcefulness and the banter between her and Pierce. There is great heat between Pierce and Rian and a few comical moments that keep the story light. Ultimately, this is a fun and easy read. I’m sure I could poke holes in the plot and relationship if I tried, but it really was the perfect book for an afternoon on a sun lounger with a few cocktails. I’m a big fan of Helena Hunting’s writing style, she writes in a way that will have you transported to a different world and you’ll be unable to put the book down. I flipping loved I Flipping Love You, it’s fantastic! Rian Sutter grew up with rich parents completely oblivious to the fact that they didn’t earn their money in the most honest way. She and her twin sister found out the hard way in their late teen years. Now adults, they’re working to get their life back on track by buying, flipping, and selling houses in the Hamptons. Rian’s crazy sister gets her in trouble with Pierce, a handsome lawyer, after damaging his car and then fleeing. Pierce confuses Rian for her sister and an unlikely bond begins to form. Pierce is only in town for a while, taking a break from his city lawyer life, he’s helping his brother with his real estate ventures by doing the labor for their flips. 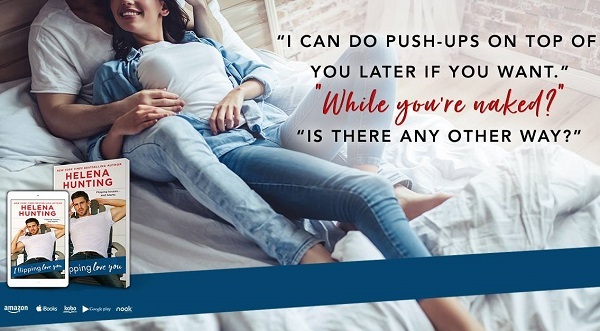 It takes a while before Rian and Pierce realize they’re in the same business but once they do things go from steamy to crazy competitive as they compete for the same properties. Rian and Pierce find themselves in several awkward situations that had me laughing out loud and a few good natured, creative pranks the two played on one another. This story never has a dull moment, both Pierce and Rian live crazy, busy lives and that makes for a very fast-paced book. I really enjoyed it and I think that the author did a great job of giving us enough glimpses of Rian’s sister, Marley, that I’m hoping the next book in this series is her story! This is the third in the series, but can be read as a standalone for sure. We first meet Rian when she is faced with a very angry Pierce, as he mistakes her for her twin. Then they meet to resolve the accident issue, and... well Pierce would like to keep meeting her as much as he can. Their chemistry is clearly fantastic, even if the timing is wrong for both of them. As we get to know Pierce and Rian, and learn about their backgrounds, we also know that there are some serious conflicts of interest which could arise in their dealings in the Hamptons. Pierce though is in for the long haul, and just needs to convince Rian. Sadly, her past has made her wary, and her parents' fraud is usually the ending of any friendship, so she is nervous of revealing her true past. I didn't find this story as laugh out loud funny as the others, although the green Speedos were a brilliant touch. As we watch the potential disaster approaching, it is difficult to know how things will turn out well, but luckily, Helena Hunting had it all sorted for us and provides a perfect ending. For reviews & more info, check out our Shacking Up post. For reviews & more info, check out our Hooking Up post. 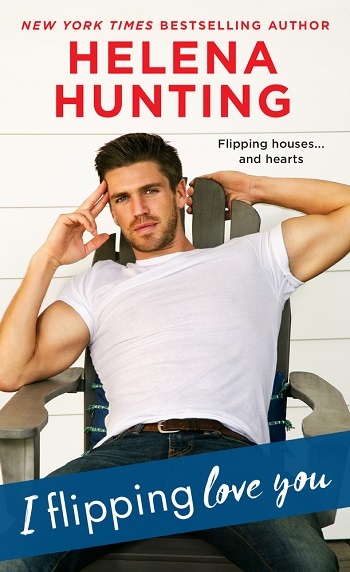 Reviewers on the Wicked Reads Review Team were provided a free copy of I Flipping Love You (Shacking Up #3) by Helena Hunting to read and review.